Last week I went down to the San Miguel de Allende Writers Conference. All I can say is: Wow! After selling books my whole adult life, I still don’t understand this one mystery: Why do writers write? I’m fascinated by all writers, from Pulitzer Prize winners to old geezers puttering around with memoirs of their exploits at The Battle of the Bulge. In particular I’m puzzled and amazed at the minds of fiction writers. I can’t imagine inventing stories. It’s hard enough to lie to Leslie about how I let the gold fish die while she and Hayley were visiting Disneyland for the weekend. Almost all the novelists I speak with say that the stories keep pouring out of their heads like water from a broken faucet. I think it must have something to do with the subconscious. When I try to understand it, the phrase that keeps coming into my mind is “touched by the muse”. I don’t even believe in the muse. But I don’t know how else to explain it. Fascinating and exciting though they may be, most writers conferences – how shall I say this? – aren’t easily monetized. Not to put too fine a point on it, I don’t usually come away with a lot of new clients. But I have to tell you. To paraphrase Mitt Romney, there was some severe talent down in San Miguel de Allende. I asked to read a lot of manuscripts from the writers down there. And I know that some of them are going to end up on the front tables at Book Passage. 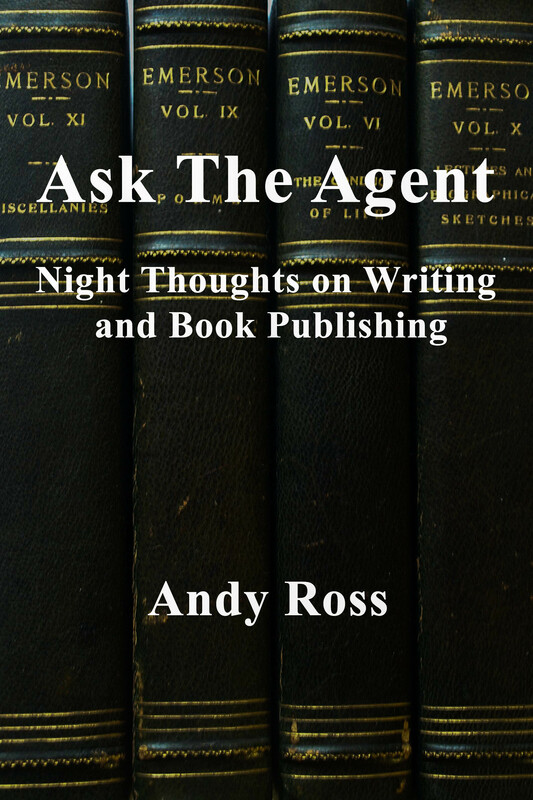 A lot of writers conferences have their primary focus on how to get published. Pitching to the agents is always the highlight of the conference. Prior to the pitch sessions, participants go to workshops where they are instructed with excruciating detail on the nuances of the perfect pitch. I would imagine it feels a little like learning the rules of etiquette at the court of Louis the XIV. I don’t believe in any of this. I tell the writers that I just want to have a conversation about what they are writing about. I like to think that a bad pitch won’t kill a good project and a good pitch won’t save a bad one. 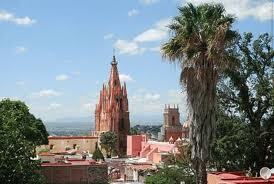 San Miguel de Allende was more about writing than learning how to get published and networking with agents. The agents played a more subordinate role, which was all for the best. There were only four agents there. We did have the usual agent panel where we tried to explain the ins and outs of getting published. Before the panel started, I introduced myself to the agent sitting to my right, Kathleen Anderson. She’s a very successful agent in New York. I decided to try to impress her by telling her that I sold a book earlier in the day. She responded that she did as well. Hers was the collected unpublished writings of James Joyce. Mine wasn’t. So ended the conversation. It turns out that Kathleen was not your usual snooty New York agent though. We’ll get to that in a few minutes. Speaking of James Joyce, I spent a lot of time talking to Susan Sutliff Brown. Susan is a freelance editor – book doctor – ghost writer. And a very good one too. She’s also a retired James Joyce scholar. Susan told me entre nous (and I really shouldn’t be repeating this in a blog) that she loves reading junk fiction. I attended her fiction workshop where she attempted to explain what Joyce, William Faulkner, and mystery writer James Lee Burke have in common. More than you might imagine, according to Susan. She also brought up Scruples by Judith Krantz. I was doodling on my legal pad, so I wasn’t paying attention at that moment. Susan might have been saying that Krantz’s first novel had a lot in common with Thomas Mann’s Magic Mountain, but I might have heard it wrong. I went to another fiction writing session conducted by C.M. Mayo, an award winning writer living in Mexico City. She talked a lot about first lines in literature. At the end of the class we all attempted to compose a great first line. A lot of them sounded like bad imitations of Henry James. I took a different approach. I wrote something about diarrhea at the art opening. More Charles Bukowski than Portrait of a Lady. And, like Bukowski, my genius was not understood or appreciated at the time. I was off and on engaged in a running conversation/argument with Rikki Ducornet about how writers write and how story tellers tell stories. Rikki has written 8 novels and has won about a zillion literary awards. Right now she is writing a libretto to an opera based on The Gilgamesh Epic. I can’t exactly remember what we talked about but I do recall bringing up Nietzsche’s notion of the union of the spirit of Apollo and Dionysus in Greek tragedy. It was as if I was back in my sophomore year at Brandeis. The highlight of the entire conference was an over-top-fiesta that conference director Susan Page put on in a huge 18th Century mansion. There was a phalanx of mariachi players. A few of them looked suspiciously like retired Jews from New York. Whatever. My favorite thing there was a real burro wearing a straw hat with plastic flowers. At the Fiesta, Kathleen Anderson, Kristen Iversen, Christine Wettlaufer, and I decided it was time to act like real writers and head for the bars. 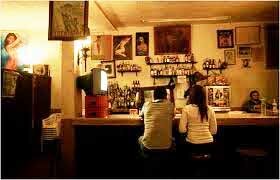 Christine had spent some time in San Miguel de Allende and insisted that we go to La Cucaracha, a bar with certain literary pretensions. It is said that Neal Cassady had his fatal accident on the train tracks outside of town after getting drunk at La Cucaracha. Legend has it that the bar has one of the 10 skankiest ladies’ rooms in the world. We ordered some margaritas there, and looked around at the clientele. Some of them seemed like they might be over the hill “D” rated Hollywood actors. There were a lot of TVs around the room. But instead of showing football, they had looping videos of go-go dancers in g-strings. We decided it was time to move on, so we left and walked along the cobblestone streets to the plaza and found another bar, a little less, how shall we say, picturesque. This time I ordered the true beverage of great writers — a scotch on the rocks. The waitress couldn’t speak English and none of us could really explain what we wanted in Spanish. Finally I asked for Scotch con helado, which I later discovered to my dismay meant “scotch and ice cream”. We all went bar hopping again on Saturday night along with some other authors whom I think I would like to sign up as well. We went to Harry’s Bar. It was “Bikini Night”. Anyone coming to the bar in a bikini got in free. They had a 12 foot high bare breasted papier-mâché female figure at the entrance. Somewhere in Kristen’s camera is a picture of me fondling it. She tells me the picture may have gotten lost. I hope she’s right. I loved that writers conference. It was a lot of fun. I made some good friends. I got to hang out with writers. Life doesn’t get much better than that.